Inkberry Creative Blog - Graphic Design, Pretty Paper Goods and More! 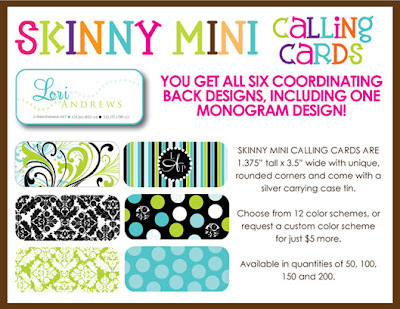 – Tagged "custom calling cards" – Inkberry Creative, Inc.
New! Skinny Mini Calling Cards!